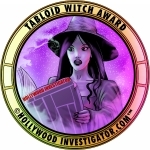 [HollywoodInvestigator.com] Night Kaleidoscope will be called a vampire film. And it is, technically. But it's also a horror art film, in that its style overwhelms the story. The story is pretty basic. Whenever the police come upon a vampire's victim, they call upon Fian (Patrick O'Brien), a local vampire hunter, to track and destroy the fiends. Apparently, the police are covering up that vampires abound in Edinburgh (that's in Scotland). The cops also know they are out of their league when it comes to vampires. And so they turn to the expert. Fian is your typical vampire hunter. He's a tortured soul. A loner who lives in a gritty, sparsely furnished apartment. He has no family or friends. No life apart from hunting vampires. It's intimated that he lost his loved ones to these vampires, long ago, and he will never again be happy. Killing vampires is all he has left. And like many vampire hunters, Fian has a special talent for the job. In his case, he's psychic. He can enter a trance and visualize the vampires; both their past misdeeds and present whereabouts. It's not a perfect talent. Fian doesn't always know what he's seeing in terms of time and locations. But it helps. Then Isobel (Mariel McAllan), another tortured soul who lost a loved one to the vampires, reaches out to Fian. She wants revenge. He warns her to leave it alone, she's out of her league. She won't. Naturally, they team up to fight the undead. There's not much story apart from that basic, bare bones setup. Not much dialog. What story there is is told in snippets, in brief dramatic scenes dropped amid extended, highly-stylized montages of vampire orgies and murders, decadent nightclubs, Edinburgh at night, flashbacks and memories, much of it (though not all of it) Fian's trance visions. It's hard to know what's what. I had to watch Night Kaleidoscope three times before I got a firm handle on events. The story, such as it is, feels dreamlike, elusory, impressionistic. The film is not so much a drama as a sensory experience. Lots of shaky camerawork, frenzied editing (quick cuts and jump cuts), heavy use of lens filters and blurry shots, colored street lights smearing across a twilight or nighttime sky, and an occasional video glitch for a further bit of grittiness. Visually, Night Kaleidoscope certainly lives up to its name. The film presents a kaleidoscopic vision of Edinburgh. Why? I suppose it's how Fian sees things in his trances. 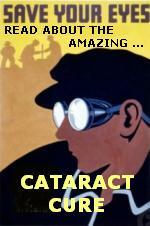 It could also represent the vampires' nocturnal eyesight. Finally, it can be taken metaphorically. This is how our world is. It's how anyone would see it once they are stripped of the illusion that vampires don't exist. Even the production design is gritty and colorful. Ugly graffiti covers the walls in Fian's rooms (along with the obligatory newspaper clippings), offset by cheery Christmas lights. Why doesn't Fian paint his walls and replace the Christmas lights with a few decent lamps? Because then he wouldn't be a brooding vampire hunter. As it is, you walk into his flat and immediately know -- a tortured soul lives here. The film is marketed as a giallo, but it isn't quite. Giallos are crime thrillers (usually about slashers), featuring brutal violence and highly stylized photography and editing. Night Kaleidoscope has the violence and style, and even a sleuth, but he's hunting vampires, not serial killers. It's close, but not quite there. Suspiria is not a giallo despite its colors. 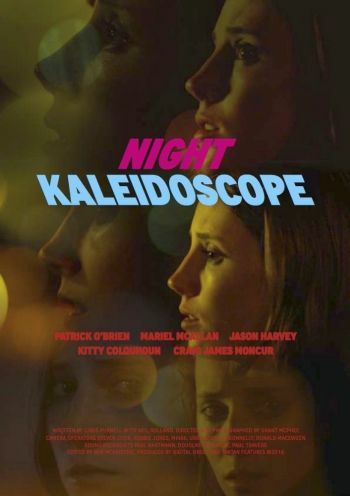 Night Kaleidoscope is the sort of film that one admires rather than enjoys. A pretty collage to look at, but whose scant story grows wearisome. Some will appreciate the film's sensory onslaught. Others will be bored. Surprisingly, considering the scant story and dialog, the film credits two writers: Chris Purnell and Megan Gretchen. Less surprising is that the director and cinematographer are the same person (Grant McPhee). I'd expect that in a film that so heavily emphasizes imagery and emotions over story and dialog.